Transforming light, Silhouette® window shadings, with the Signature S-Vane, help shape ambient light and shadow. This innovative design along with a host of beautiful fabrics diffuse and soften harsh sunlight. 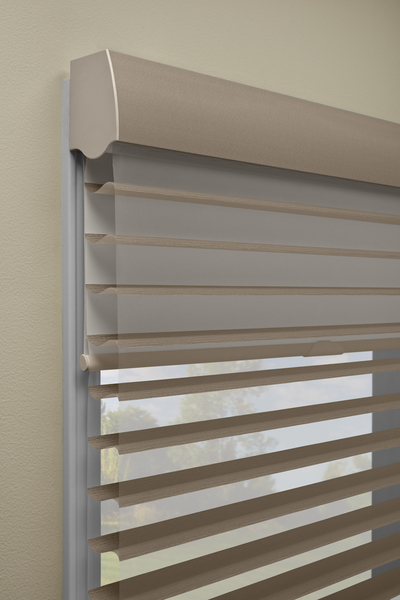 All Silhouette shadings feature soft fabric vanes suspended between two sheers that you can tilt to achieve your desired privacy, as well as UV protection for your floors and furnishings. 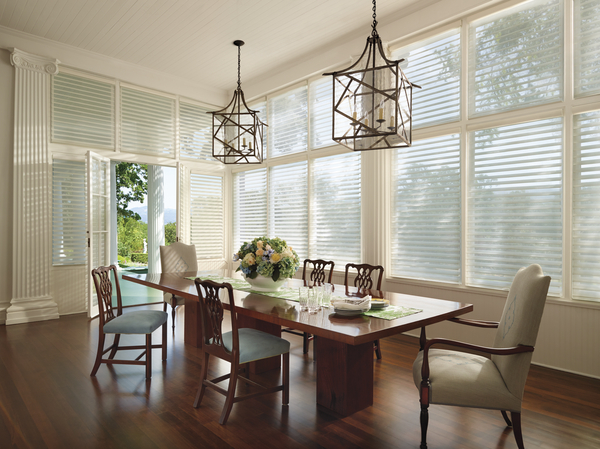 Silhouette® window shadings are the perfect solution for your windows. 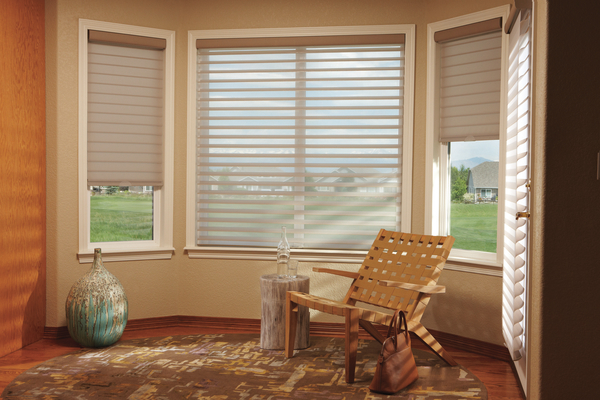 Silhouette window shadings are available in a beautiful palette of designer colors and a wide variety of applications. From arches and angles to tilt-only operation for smaller windows and motorization for hard to reach windows, Silhouette window shadings are a welcome addition to any room. Silhouette window shadings are available in two-inch, three-inch or four-inch vane sizes that tilt to give you precision light control and protection against harmful UV rays. And, if you’re looking for room darkening in your home, ask about Silhouette Bon Soir™. Silhouette® with PowerRise® offers all the beauty and light control of Silhouette window shadings plus convenient remote control motorization operation. Silhouette PowerRise shadings are battery powered. Installation is quick and easy; no wiring, power supplies, or control units are required. Innovative. Unexpected. Designed to a higher standard of excellence. 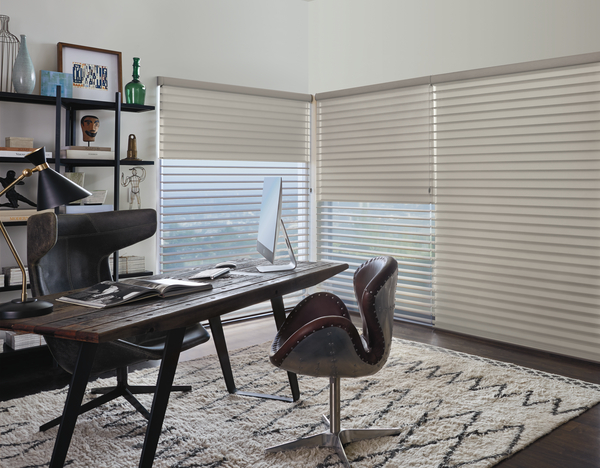 Silhouette® window shadings provide the light control of a blind, the easy operation of a shade, and the soft, light-filtering translucence of a sheer curtain. Silhouette window shadings are extremely flexible. They can light up a room or blend into existing decor. 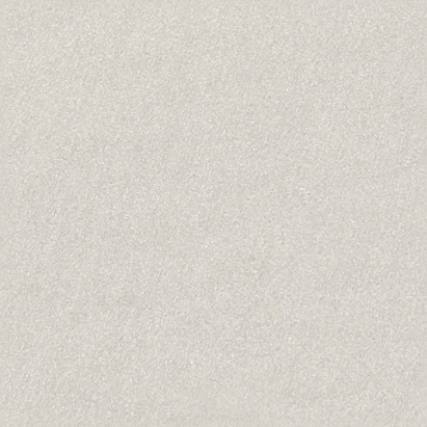 Shadings are available in a variety of fabric and color choices. 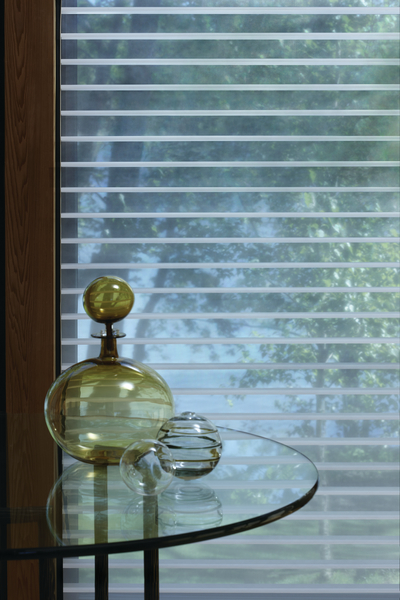 Soft, sheer Silhouette® window shadings. It feels like a curtain. It works like a blind. And you can’t really call it a shade. But Hunter Douglas has created a window covering so revolutionary, it actually controls the light without sacrificing privacy. Enriching the beauty of any room with an infinite range of light intensities. As if touched by the sun. Silhouette. Exclusively from Hunter Douglas.